Ransomware is a type of a bad software which changed to encrypt the contents of your files/folders and destroy them. Most ransomware demands for money from its affected groups. It is very important to save your data from ransomware. There are many ways for that and the most used way is to upload your data to any cloud service like Google Drive etc. They have protection against these ransomware. After the recent attacks, Microsoft made this protection available in their new update of Windows 10. To enable ransomware protection on your Windows 10 fall update, follow the following steps. Click on start menu and type windows defender. 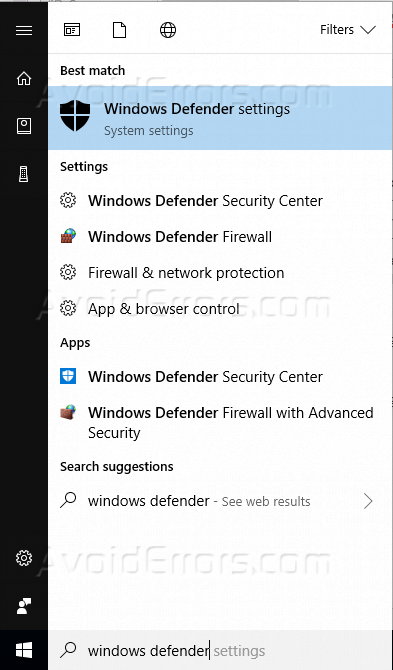 Now click on Windows Defender on and it will open Microsoft Windows Defender for you. 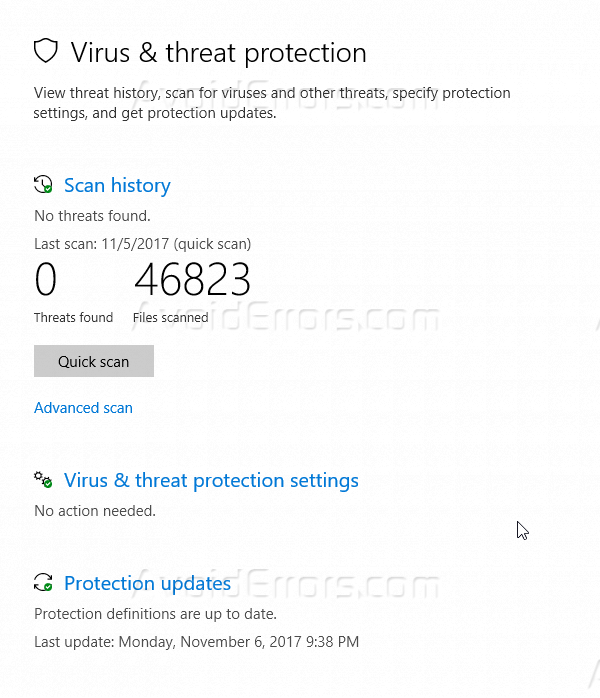 Once you are on Windows Defender main screen, you can see the current status of your computer protection and any recommendations required to make your computer secure. Now to enable ransomware protection click on Virus and Threat protection on the left-hand side. It will open Virus and Threat protection dashboard for you. Now click on Virus and Threat protection settings. Once you will click on Virus and Threat protection settings it will open a detailed setting for Virus and Threat. Now look for Controlled folder access and turn this option on. Once you turn this option on, you can see another option Protected Folders, click on this option to see which folder is already protected by Windows 10. Windows 10 protect some of the basic folders like Desktop, Downloads, Documents, Pictures, Music etc. You can also add up other folders where you have saved your data and those can be protected. 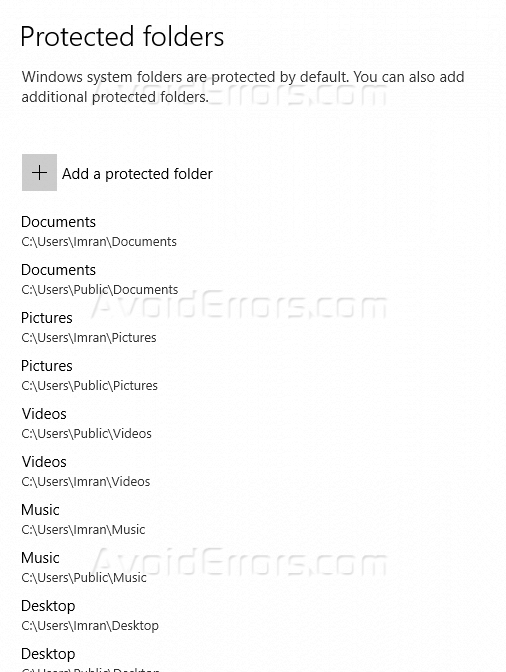 Click on the + button to select the folder and add that folder to the protected folder list. 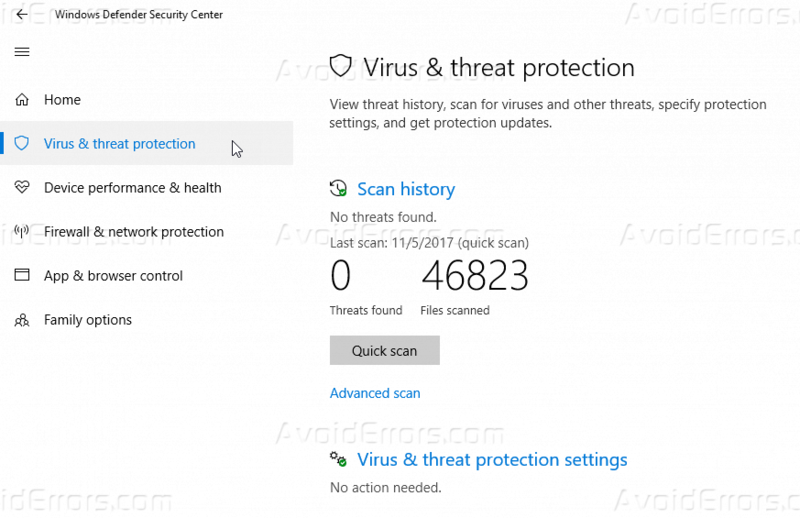 Once you will add the folder Windows defender keep monitoring that folder for changes to make sure that is protected and remain safe in case of the system got affected by ransomware.